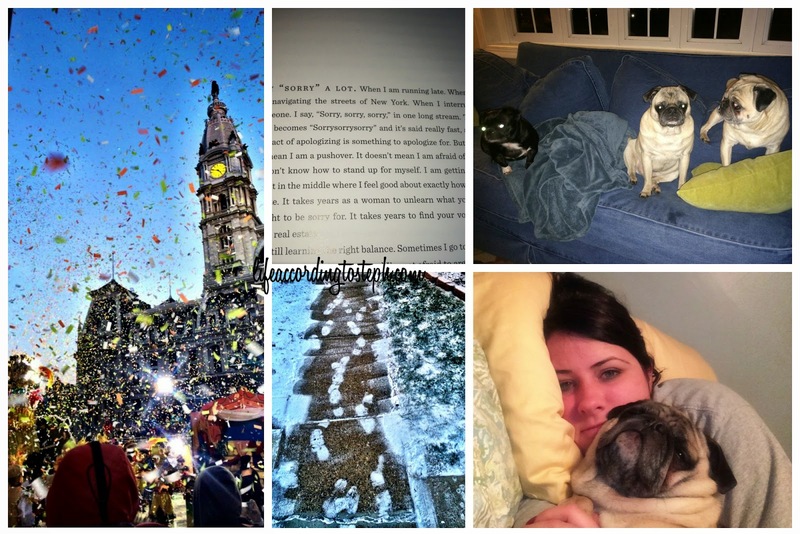 January 1 - New Year's Day Mummers Parade at City Hall / January 8 - Text from Amy Poehler's book / January 15 - What happens when it's Thursday night and you forget to take a photo / January 22 - Winter footprints / January 29 - I fell asleep across the bed on top of the covers at 6:30 p.m. This was taken right before that. March 5 - Our boys are getting old & Gus needs to be carried a lot / March 12 - What goes on behind the library / March 19 - Blue skies have been few and far between. Reflections in the Comcast building / March 26 - The only good thing here is the Totes Clear Bubble Umbrella, absolutely necessary for traversing the city in the rain. Otherwise, it's raining and I'm heading to the dentist. I'll share again at the end of Q2. I often find myself hoping I see something cool on Thursdays only to end up taking photos of things that are just daily real life stuff. I like both options. Fun project...might hook up with it next year. I can totally relate to the February photos and just wanting Winter to die. Thankfully Spring is here. The picture with Gus and MFD is so precious. Odd thing for me to say but I've always pondered getting one of those clear bubble umbrellas. They seem to be a helluva lot more functionally then those other pieces of $hit. And we get bad wind tunnels around the towers here in Toronto so this would be perfecto! although this winter wasn't as long as last winter, it was damn cold. BUT i'm so happy that spring is FINALLY HERE! we've been having amazing weather this week and it's supposed to last all weekend, yahoo!!!! Love your pictures. The Mummers New Year's day is awesome. It says celebrate to me. Always love pictures of you and Mike Doyle and your pups. You are wicked photogenic. Every.Darn.Picture! I love that New Year's photo! This seems like such a fun way to remember the year. 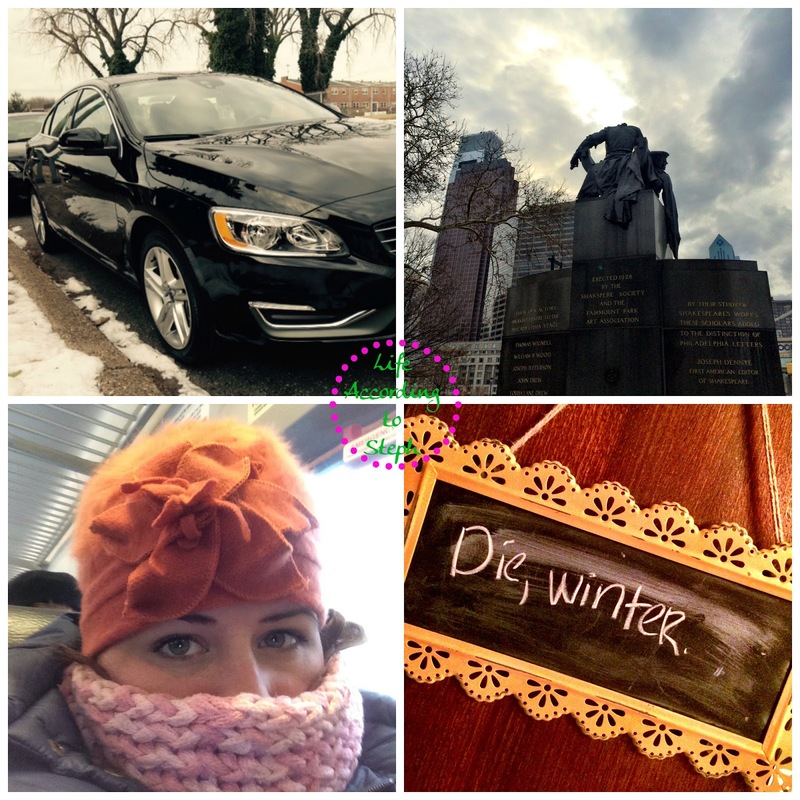 Favorite Winter Feelings! Die Winter DIE! Great idea!! So happy that winter is over with. I felt like you about winter! DIE WINTER!!! That's a great idea to share photos taken on a specific day. 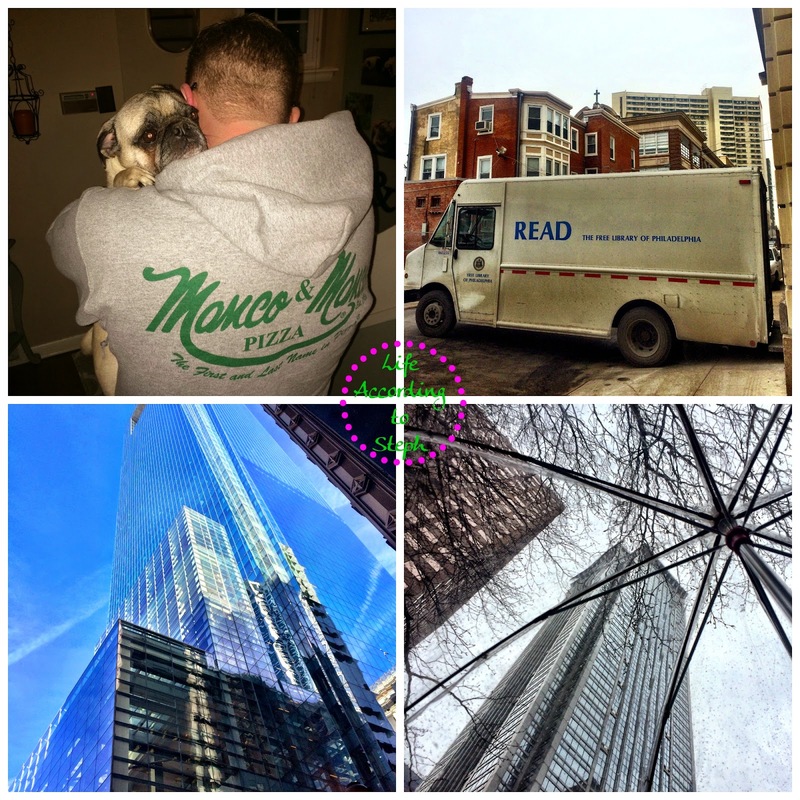 I really enjoy your Philly pics! I love both options and the clear umbrella! I bought one while we were in London and it lasted until we left then it broke so I didn't bring it home. If I had to walk in a city I would so get one again! That Mummers shot is just so good, I love it. 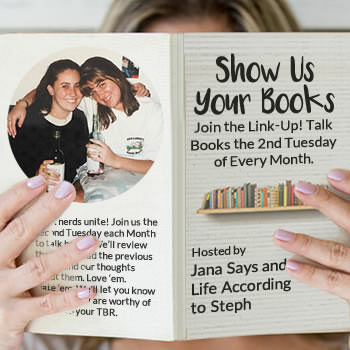 I LOVE this idea. Some people do a photo a day- which is just kinda overboard! but one a week is a great way to look back. What fun picture!!!! I love the New Year's Day Mummers Parade one with the confetti and all. And ahhhhhhhhh Gus!!!! hahaha die winter. that picture of gus being carried is wonderful. Winter Footprints is my favorite. I have a 365 project on my 40x40 list, it seems so daunting I might edit it to a 52 project. Such cool photos from around the city and love MFD's new ride! I'm sure you're glad it's warming up from the winter. I have been wanting to do Project Life for a while now. I'm going to go ahead and start gathering supplies and start next year! Thanks for the inspiration! Gus being carried like a baby... cutest thing ever!!!!! The die winter is my favorite lol. Yay you're keeping up with it and you definitely have a great mix of the everyday stuff plus artsy stuff (like ticker tap, winter footsteps). You're keeping good notes on all the pictures too. You going to put them into a scrapbook or something? What a great idea! I love seeing snippets of people's lives like this. And the photo of your man holding Gus makes my heart swell. the mummer's parade pic is my favorite! I love all your pictures!! The parade one is super awesome. I also like your last one, and love how the last two in February have a theme. Oh my gosh, I just want to go to your house and give Gus ALL THE SNUGGLES!! !